Key Features... Sophisticated watch phone with 1 IMEI lets you make calls and send messages from your wrist Android 5.1 OS allows you to enjoy all basic Android applications WiFi and 3G support lets you browse the web at any time Abundance of smart health and fitness features motivate you to live a healthier lifestyle IQI I4 Pro Android Watch Phone Take your mobile connectivity to the next level with the IQI I4 Pro phone watch. This high-end smartwatch supports 1 IMEI number thanks to which it allows you to send out messages and make phone calls like any regular smartphone. 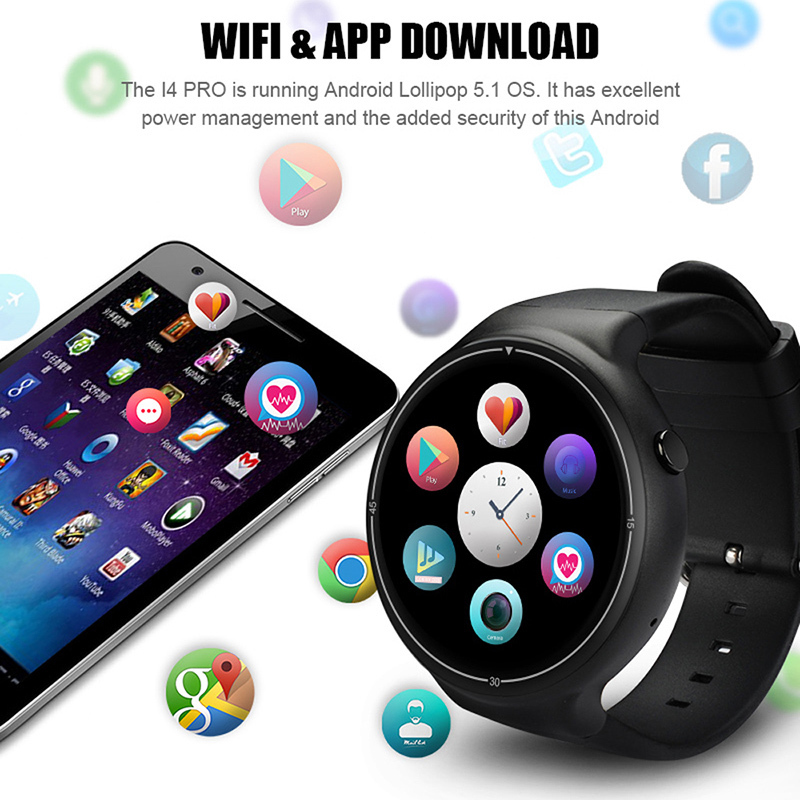 With its Android operating system, it lets you enjoy all the latest software features straight from your wrist. From now on, you no longer have to carry along your phone in order to stay in touch with friends and family. This cool electronic gadget ensures that you’ll always be within reach for your loved ones. With its stylish design, your beautiful watch phone can be worn with confidence at any occasion. 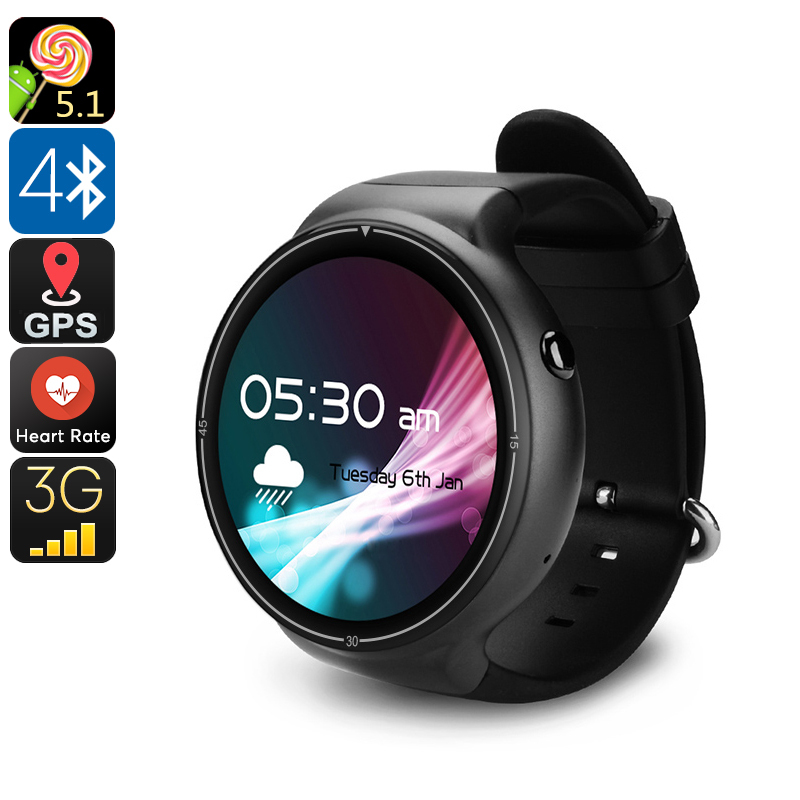 Besides letting you make calls and send out messages, this smartwatch also supports Wifi and 3G. Thanks to this, you’ll be able to browse the web at any given moment from its 1.39-Inch display. 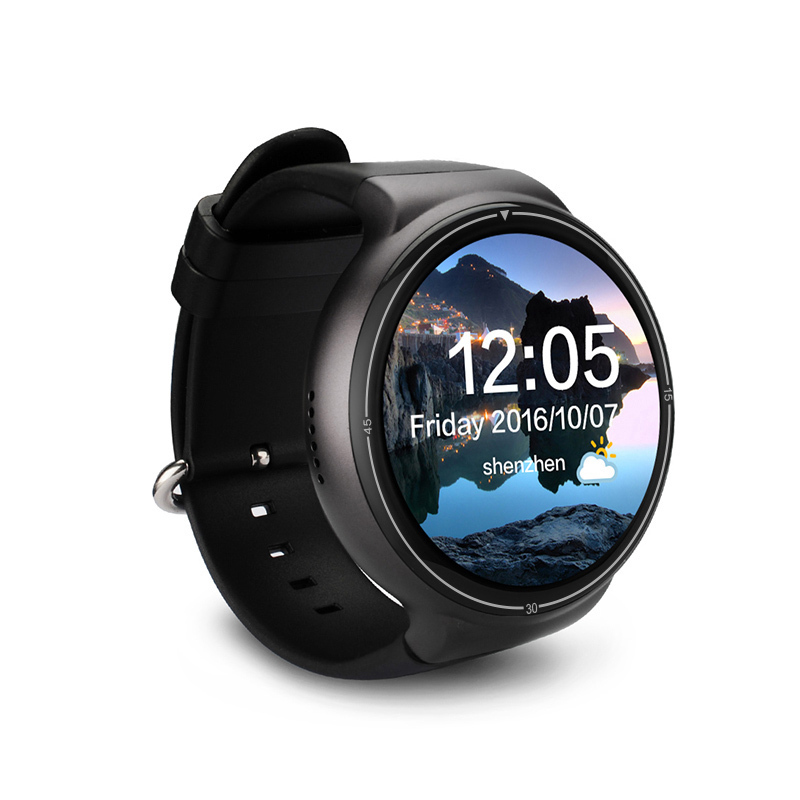 With its Quad-Core processor and 2GB RAM, this watch phone packs all the power needed to tackle basic Android applications. It furthermore packs a lightweight yet powerful 400mAh battery. 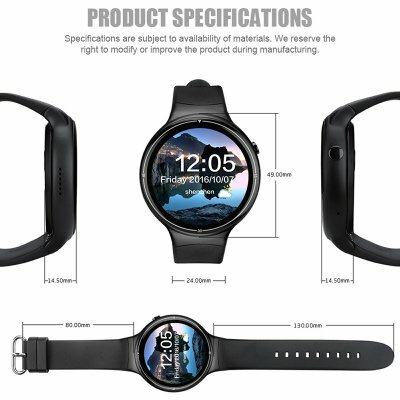 With this cell at your side, you can enjoy all the features this Android watch has to offer throughout the day without needing to worry about running low on juice. 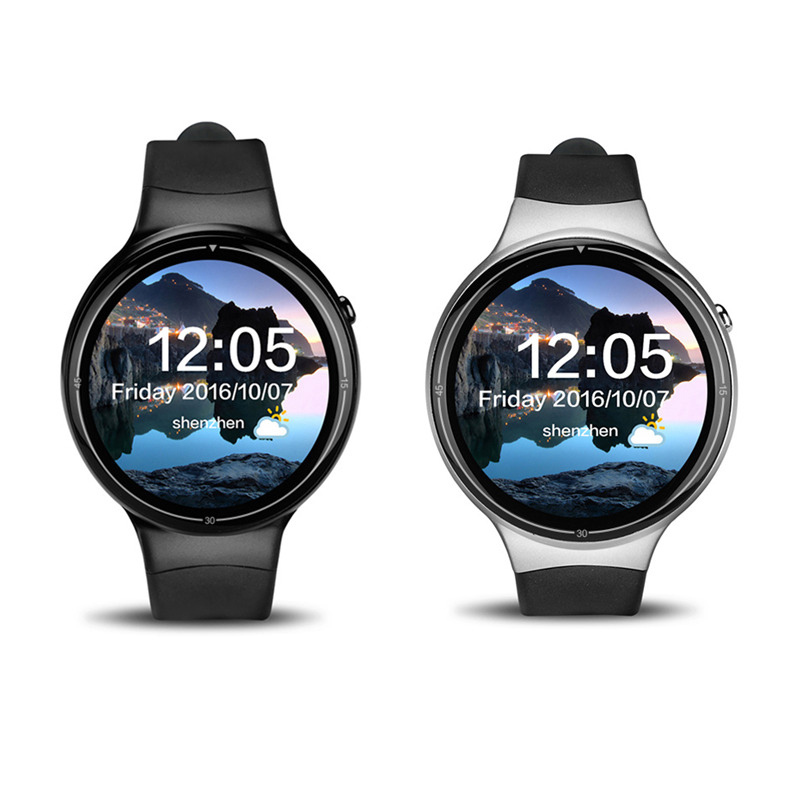 When synchronized with your iOS or Android smartphone, this phone watch brings along an abundance of smart health and fitness features. Its pedometer lets you take accurate track of the number of steps you took throughout the day. Thanks to this, you can be guaranteed you’ll meet your daily exercise levels. It furthermore packs a heart rate monitor that provides you with detailed information on your current heart rate. This valuable info lets you adjust the intensity of your upcoming workouts so that you can take the most out of each sporting session. A splash proof design lets you use this sports watch in any weather condition. Whether you simply like to hit the gym, go for a run, or head out mountain biking – the IQI I4 Pro will follow you anywhere you go.